No real spring fashion without some classic navy. The color that looks good on all of us and is a must have for this season in particular. Lorence Long Dress has a clean nautical style and is perfect for your summer festivities. Feminine and simple with thin spaghetti straps and sleeves with a cut-out that exposes your summer sun kissed shoulders. A wide v-neckline, figurative bodice with a straight skirt. Closes with a hidden zipper in the back and body underlining. This dress enhances the power of femininity and is perfect when you need to look your best. Material is composed by 100% quality polyester. Can handle machine wash. Regular fit true to size. 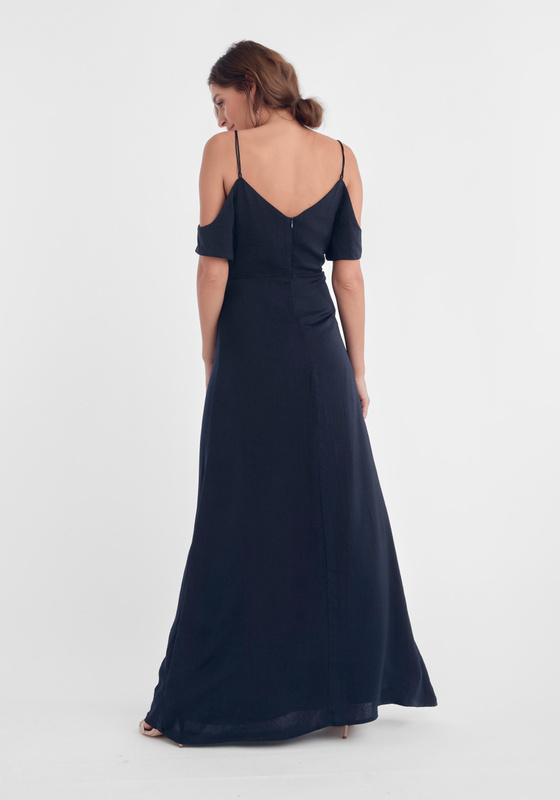 See also Poppy Dress in same classic navy satin.